Life in Hattiesburg is better with a Honda Pilot. The SUV has won over quite a few residents for solid reasons. Let the professionals at Vardaman Honda help you find the right trim level to suit your needs and wants. If you haven't been to Turtle Creek Mall lately, it's a place where all the latest fashions, a whole range of food options, and more all converge. Shop for deals, enjoy a day of retail therapy, and have an excuse to stay out of the house. Unlike shopping on the internet, you get everything immediately, and can try things on before you buy. Because the Honda Pilot has a spacious cargo area, you can buy whatever you need or want with confidence. While behind the third row sits an impressive amount of room, you can expand on that with ease. The third and second rows feature a 60/40 split, so you can fold down one part, the other, or both, depending on the situation. When the weather's nice, playing a round of golf can be a great way to really appreciate it. Shadow Ridge Golf Course provides you with a convenient option, because it's situated right in Hattiesburg. Unlike some courses in the area, this one has some nice changes in elevation. The terrains keep things interesting, and provides a challenge that even the most seasoned golfers will appreciate. Water hazards and a nature preserve add to the beauty of the area, helping you to relax while playing through all 18 holes. Whether you use a cart or choose to walk, after golfing you need a break. The Honda Pilot helps you cool down and get comfortable in a hurry. Tri-zone climate control means the driver, front passenger, and rear passengers can all find the setting that's ideal. Some might like it hotter or colder than others, so this innovation helps avoid conflict. Adding perforated leather helps the material breathe, preventing hot air from being trapped by your body. Even better, add ventilation for the front seats, allowing you to cool off even faster. While spending time in the city might be your daily life, it's great to get away from it all by visiting Paul B. Johnson State Park. It puts you right in the middle of Mississippi's pine belt, with dense forest and plenty of wildlife. Whether you enjoy tranquil activities in the great outdoors, or want to engage in big adventures, you can do either at this park. Just as important, the Honda Pilot will help you with whatever you choose. For example, the available trailer opens the possibility of bringing along a boat. From there, you might just take to the open water, fish on the lake, or even try out water skiing. If you want to go out on the water under your own power, the park has areas for canoeing. The Honda Pilot roof rack allows you to strap longer items up top, so you still have room inside for up to 8 people. 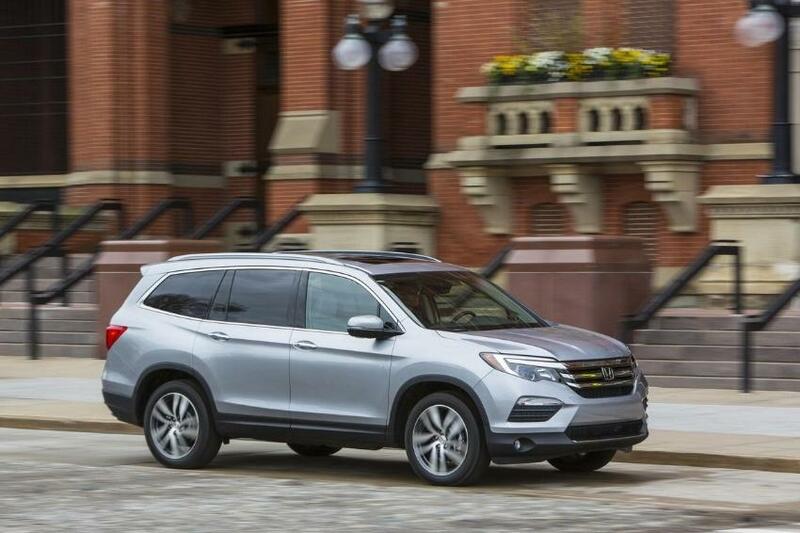 Live life in Hattiesburg more fully with a Honda Pilot from Vardaman Honda.